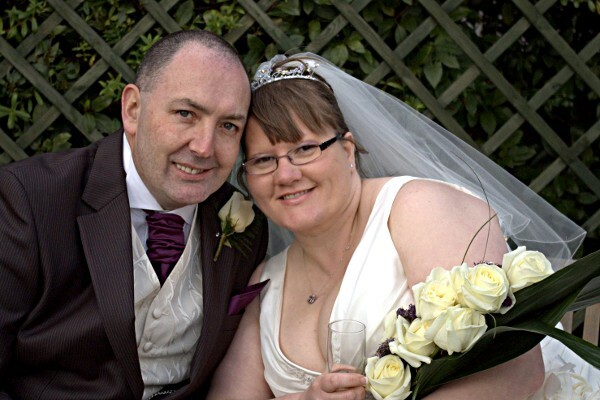 The happy couple, Andy and Jennifer Turner shortly after the ceremony. 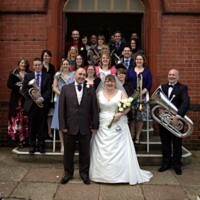 Andy and Jen in front of the band which comprised of a mixture of players from KCB and NMYBB. 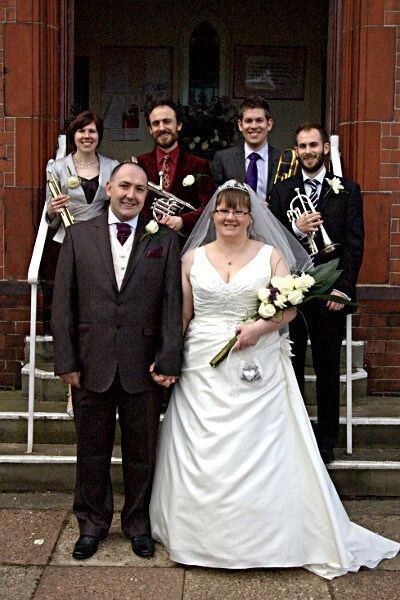 Some of the band had special roles to play on the day, with Simon Ladds (back) as Andy's best man and Kim Preston (right) as one of Jennifer's lovely bridesmaids. 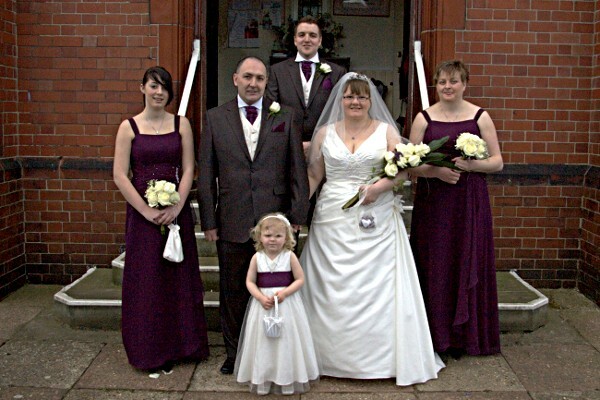 A short review of this wedding can also be found on our News page.